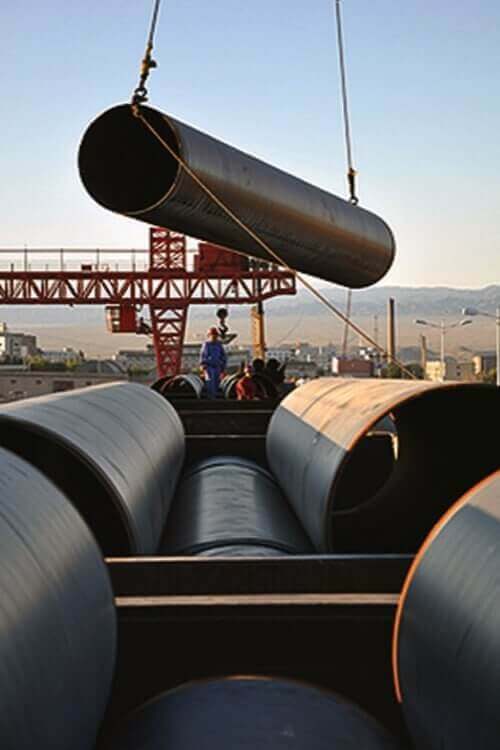 ASME SA671 Electric-Fusion-Welded Steel Pipes for Atmospheric and Lower Temperatures | ASME SA671 CS EFW Pipes | ASME SA671 EFW Pipes | ASME SA671 Pipe | Carbon Steel EFW Pipe Exporters | ASME SA671 Carbon Steel EFW Pipes Suppliers | IBR approved Carbon Steel ASME SA671 Low Temperature EFW Pipes Traders | Carbon Steel EFW Pipe in ASTM A671 / ASME SA671 Grades CA55, CB70, CB60, CB65, CB70, CC60, CC65, CC70, CD70, CD80, CF70, CJ106 in Class 10, 11, 12, 13, 20, 21, 22, 23, 30, 31, 32, 33, 40, 41, 42, 43. We as a manufacturer supply all over the globe with ASME SA671 pipes in various designs as well as finishes. These pipes are manufactured from the good quality raw material due to which its demand for industrial use has increased. also, these pipes are cost effective than other pipes and have features like leak proof, resistant to rust, high tensile strength, optimum performance, durable finish, compact design, etc. Standardized as ASTM A671 and ASME SA 671 these pipes are having the outer diameter of seamless pipe 17-914mm and LSAW 457-1422mm. the wall thickness of this pipe range from 2-60 mm and it comes in single random or double random length. The most manufacturer supplies this pipe in various length as per the needs of their customers. A technical method by which the pipe is produced is hot expanded, cold drawn and hot rolled. Test methods include hydrostatic test, eddy current test, NDT, ultrasonic test, etc. ASME SA671 Pipes, a small pipe is packed in bundles with the strong steel strips and the large pieces are covered in plastic woven bags. Plastic caps protect the ends of the pipes and then delivered to the customer within 2 weeks. These pipes are required in oil, water, gas conveying and other industrial areas. If you are in need of ASME SA671 Pipes then buy it from reputable manufacturers who produce these pipe as per international and national standard. While ordering material specifies quantity, length, size, and types of the ASME SA671 Pipes you require. If you will not specify the needs properly the manufacturer won't be able to provide you with the high-quality material. ASME SA671 CC65 Pipe in Class 12/ 22 / 32, ASME SA671 Welded Pipes, Carbon Steel EFW Pipes Exporter, ASME SA671 GR CC70 EFW Steel Pipe, ASME SA671 Carbon Steel Electric Fusion Welded Pipes Stockist in Mumbai India, ASME SA671 Grade CC60 EFW Pipe, ASME SA671 CS EFW Piping, ASME SA671 EFW Lower Temperatures Pipe Stockholder, Standard Size ASME SA671 Atmospheric EFW Pipes Supplier.